I began my own journey into rock climbing eight years ago, when my sister took me to the Portland Rock Gym while visiting from New York. I had always been afraid of heights, and I thought that learning to climb would be a way of working through that fear. On the wall, I’ve found that my yoga practice increases the awareness, flexibility, and strength of my movements, and observing my breath helps me to stay relaxed and mindful when fears arise. Yoga aids in the recovery of tired and sore muscles post-climbing and helps to keep the body in alignment. Climbing has in turn added strength and confidence to my yoga practice when working with more demanding poses. Both yoga and climbing involve moving out of your comfort zone and opening up to new possibilities. These practices build resiliency which translates into life situations and challenges both on and off of the mat and the rocks. 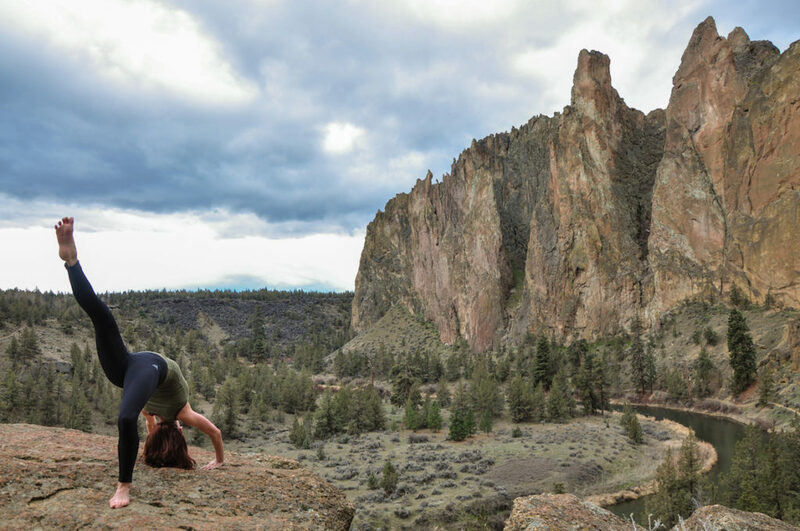 Climbing, like yoga, has introduced me to many new friends and taken me to some beautiful places around the world, including Smith Rock – world class climbing right here in Oregon! 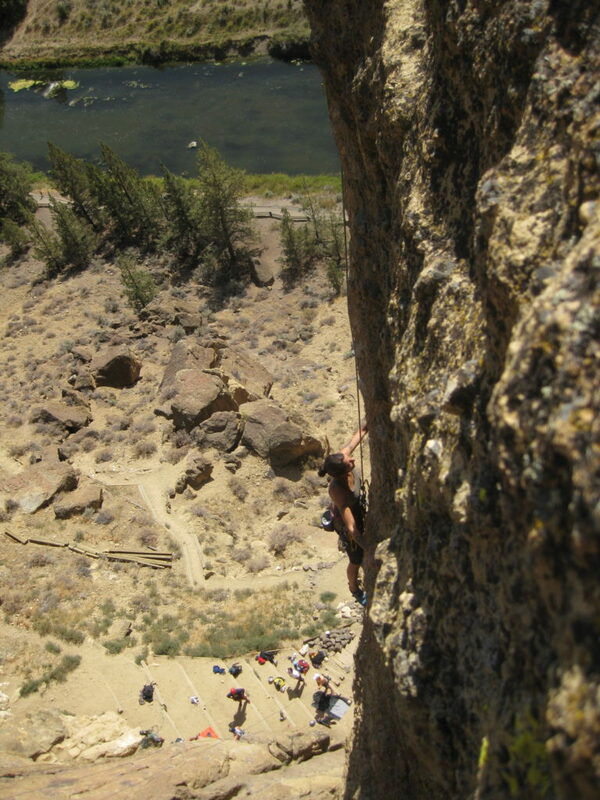 To join Alix on the next Yoga and Rock Climbing adventure, please visit her Events page.